Are you considering a WordPress website for your business? You may have heard that WordPress can be used to create just about any kind of website including business sites and online stores. It is a widely used CMS that has become popular thanks to its very friendly interface. It is also highly customizable. With just one click of a button, you can customize your site with themes and plugins. You don't have to know how to program to use either one. Set up is relatively simple. 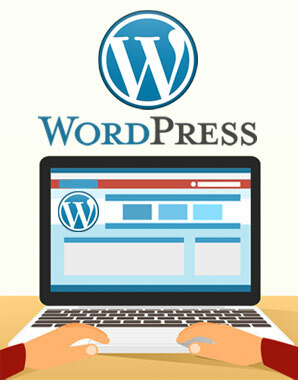 You may be able to set up your own WordPress website and manage it on your own if you are technologically savvy. But most small business owners would benefit from the assistance of an experienced WordPress web designer. At Crimson Designs, we will guide you through the set up of your WordPress site, then customize your theme and install security and site backup plugins to help you keep your site safe. We will then help you become familiar with your website. Once your WordPress site is set up, you can add content to it without having to know HTML or CSS. When you make a change and click "Publish," your new content will appear on your website instantly. We can also continue to assist you by managing the technical side of your website. You may end up installing conflicting plugins or experience sluggish page speeds and not know what to do next. We will troubleshoot any problems like these that may arise later on. It's nice to have a trusted website partner.